Making the decision between a lumpectomy and a mastectomy can be difficult. It’s a decision that is often left up to the patient, rather than the doctor. Understanding the advantages and disadvantages of each choice can help you make a more informed decision about the treatment option you choose. A lumpectomy, also called “breast conserving surgery,” is the removal of the cancerous lump in the breast, as well as a margin of tissue surrounding the cancer. A lumpectomy usually also requires radiation therapy, even if the cancer is limited to the breast tissue. A mastectomy, on the other hand, is the removal of one or both breasts, sometimes including the lymph nodes under the corresponding armpit. These two procedures have an almost identical success rate in terms of survival, but a lumpectomy has a slightly higher chance of the breast cancer recurring. 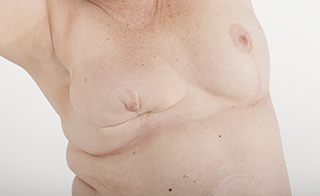 The main advantage of a lumpectomy is that the breast is conserved as much as possible. It is also a more minor surgery than a mastectomy, with a shorter and easier recovery time and fewer potential side effects. You can usually go home later in the day after a lumpectomy, rather than staying overnight in the hospital, as with a mastectomy. Although the idea of keeping your beasts virtually intact can make the prospect of a lumpectomy more inviting than that of a mastectomy, a lumpectomy does have several potential disadvantages. First of all, a lumpectomy is usually followed by five to seven weeks of radiation therapy, to ensure that the cancer has been completely removed. The radiation therapy can affect the timing of any reconstruction, as well as your reconstruction options, depending on the extent of the radiation therapy needed. In addition, a lumpectomy does have a higher chance of a local recurrence of breast cancer than a mastectomy. If the same breast experiences a recurrence of breast cancer, additional radiation therapy is no longer an option, which means that you would have to undergo a mastectomy anyway. 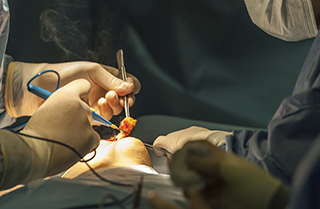 Factors to Consider In order to decide which procedure is best for your specific case, it is important to ask yourself some important questions. For example, how important is it to you to keep your original breast? Breast reconstruction is an option for those who opt for a mastectomy, but the breasts will not experience sensation and may require multiple additional surgeries in order to ensure that they are aesthetically pleasing. Also, you’ll have to consider the size of the cancer that would be removed by a lumpectomy. If the lump is very large, a lumpectomy may leave you with a distorted breast that can be very difficult to repair to your approval. In addition, your level of anxiety about recurring breast cancer should be taken into account, since a mastectomy radically lowers your risk of recurring cancer.